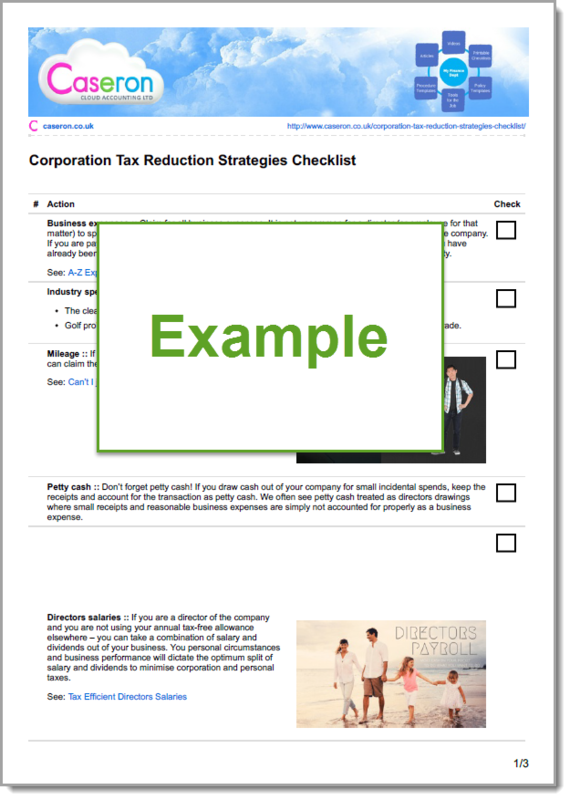 TAKE 10 MINUTES TO CHECK IF ANY OF THESE COMMON CORPORATION TAX REDUCTIONS STRATEGIES CAN BE APPLIED TO YOUR BUSINESS. Tax is a good thing. If you are making a profit then you will probably be paying tax! No one wants to pay any more tax than they need to - so let us take a look at the strategies available to companies that are looking to minimise their corporation tax bill. There is a long list of allowances that are potentially available, so it is worth taking a long and considered look at them to see how many, if any (not already in use), are applicable to your business. Tax is a complicated subject so please always take professional advice before implementing any kind of tax reduction strategy.